Houston Therapist: Chuck Gray - Therapist 77074. Send A Message To Dr. Gray. Chuck Gray, Ph.D. specializes in Marriage Counseling, Couples' Counseling, Premarital Counseling, Dating Counseling, Singles' Counseling and other Adult Relationship Counseling while also providing counseling in the following areas: Communication, Affairs, Trust, Depression, Anxiety, Stress, Sexual Abuse, Sexual Dysfunction, Codependency, Self-Esteem, Social Fears, Phobias, Panic Attacks, Alcohol Abuse, Substance Abuse, and Grief/Loss. He has extensive experience and training in assessing and treating a wide variety of psychological concerns. If you see Dr. Chuck Gray as your marriage counselor, he will do everything possible to make your experience positive, constructive, and congenial. His approach is collaborative, practical, and individualized. He will work with you to establish agreed upon goals for your marriage and for your counseling. In the marriage counseling you and your spouse will progressively learn to discuss any and all issues as collaborative allies seeking to fulfill your common goals. Making wise, well-educated, and insightful decisions will be emphasized as you enhance your abilities to manage your feelings constructively. In the marriage counseling, you will be guided to assess how and why each of you may be triggered to get off course and how you might best support each other in staying on course and getting back on course after slips. A marriage counseling focus will be on progressively learning to bring out the best in each other by bringing out the best in yourselves. Handouts, self-assessments, relationships-building processes, and recommended readings will be offered. In the marriage counseling, you will be gently guided to enjoy making life increasingly wonderful for each other. Chuck Gray, Ph.D. strives to provide the warm compassionate environment he believes is helpful in allowing us to feel safe disclosing and understanding our innermost thoughts and feelings. A wide variety of helpful psychological techniques may then be used to quickly assess in a friendly way the often hidden underlying origins of our situations. Numerous constructive psychological techniques may then be used to help us develop specific life enhancement plans and gently guide us through the process of fulfilling our goals. Dr. Chuck Gray has been licensed by the State of Texas as a psychologist since 1987. He received his Ph.D. in clinical psychology from the University of Houston. This highly rated program is approved by the American Psychological Association. While there he taught as a teaching fellow eleven semesters of the Human Sexuality, Marriage, and Family Living course. He previously received bachelor degrees in both psychology and physics from Southern Methodist University. Providing the public with useful psychological information has been a priority for Dr. Chuck Gray. He has presented hundreds of highly rated seminars and workshops. He served as author of a relationships column for Cover Magazine. His work has been featured by the Houston Chronicle and numerous Houston Media Source television programs. He has also served as a psychological expert for the Houston Chronicle, several magazines, and almost all the television channels based in Houston. Dr. Chuck Gray has received specialized training in marriage counseling from John Gray, Ph.D., Sue Johnson, Ph.D., John Gottman, Ph.D., Harville Hendrix, Ph.D., Virginia Satir, Ellyn Bader, Ph.D., Peter Pierson, Ph.D., Frank Pittman, M.D., Salvadore Manuchin, Ph.D., Michele Weiner-Davis, M.S.W., Neil Jacobson, Ph.D., Robert Young, Ph.D., Daniel Wile, Ph.D., Gary Chapman, Ph.D., David Schnarch, Ph.D., Shirley Glass, Ph.D., Janice Abrahms-Spring, Ph.D., Dave Carder, M.F.T., and others too numerous to list here. 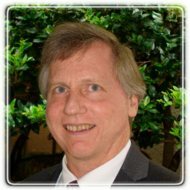 Dr. Chuck Gray is a professional member of the Texas and Harris County Mental Health Associations as well as the American Psychological and Texas Psychological Associations. He also served for seven years as an executive committee member for the Houston Psychological Association, where he won a President's Award in 2003. Dr. Chuck Gray has individually taught and supervised other professionals to conduct marriage counseling, and he has led workshops to train other professionals in marriage counseling. Chuck lives in the Houston area with his loving wife Laurie and daughter Valerie. Their daughter Cheryl lives in San Antonio and attends Trinity University. Dr. Chuck Gray's rate is $190 per 55 minute session. He offers 55 minutes of a 110 minute initial consultation free of charge to the first member of each family. Dr. Chuck Gray is eligible for out-of-network insurance reimbursement from all insurance companies that offer such coverage. Coverage varies greatly. To determine your specific insurance benefits, please call his friendly staff at (713) 774-2122. Regardless of whether you use insurance, his staff will be happy to review all rates with you and answer any questions. The clinic is located at 8303 Southwest Freeway (at South Gessner), Suite 330, Houston, Texas 77074-1601. For further information, please call Chuck Gray, Ph.D. & Associates at 713-774-2122, email the clinic at drcgrayclinic@gmail.com, or visite www.marriagecounselingpsychologistshouston.com. We would love to help you help yourself.